Since when did government waste, and the resulting government investigation of said waste, fall under the protection of the Privacy Act thereby blocking disclosure to the public who paid for it all? Since the VA’s hospital construction failure at the facility in Aurora. U.S. Rep. Mike Coffman writes in an editorial published in the Aurora Sentinel that the government refuses to fully release its report and supporting documents, nearly six months after it presented it’s useless and partially redacted internal investigation to the House VA Committee. There are thousands of pages the committee is still demanding in order to have a full understanding of what went wrong, but the VA is hiding behind the Privacy Act, stating that it might, might be violated if the information is released to Congress. On March 25th, I wrote VA Secretary Robert McDonald to urge him to release the complete AIB report to all members of Congress and the American people — he refused. 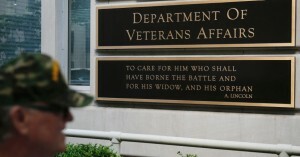 The VA then claimed that it released the “thousands of pages of documentation from the AIB” to “all four VA Congressional Oversight Committees — untrue. So I wrote Secretary McDonald again on July 7th asking him to reconsider his position, provide a complete legal explanation as to why this information is allegedly protected under the Privacy Act, and to release the summary along with the full report and all of the supporting documentation by August 31, 2016. To date, I have not received a response from the Secretary. To hide mismanagement of a federal agency, of which Congress has oversight, from Congress, is astoundingly impertinent. To deny the information from the public, who paid out of their hard-earned wages the millions of dollars that were wasted, is just brazen. Coffman has essentially carried this load alone, forcing the VA to admit they messed up and demanding an investigation. But now it’s time for the entire House, Senate, White House and presidential candidates from both parties to step forward and demand that this information be released.